When you subscribe to Six Figures Under! You'll get frugal inspiration and financial motivation in your inbox every week, plus you'll also get an instant download of the Guide to Getting a Month Ahead Financially! Now check your email! 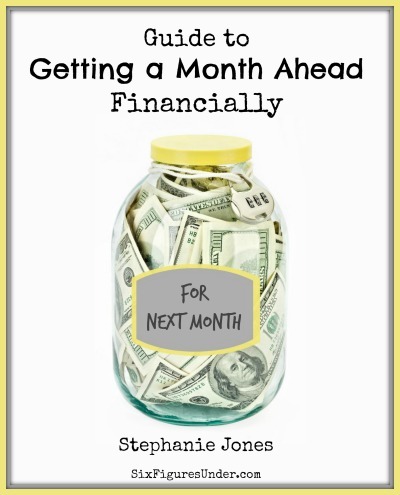 You should be receiving your Guide to Getting a Month Ahead Financially in a jiffy!